Tiger Woods has practiced Qigong since childhood. Novak Djokovic practises Tai Chi every morning. As an ex Tennis Professional and a low handicap Golfer for some 30 years, I still compete in County and England golf events. I also enjoyed the physical and mental challenge to win medals in the UK and European Tai Chi competitions. I have competed in sport at high levels for most of my life and learning Tai Chi resulted in an epiphany for me in understanding how to perform under pressure and stay in the moment to close out and win. As a martial sportsman with years of experience, I offer a unique opportunity for my students to learn new skills. I can then translate those skills into a practical application for improvement in their sport. How will Tai Chi help my performance ? 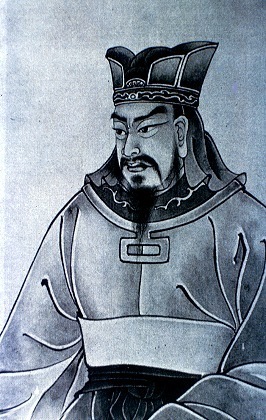 Martial skills came from trained techniques with relaxed educated force, used by ancient Chinese warriors. These warriors aimed to achieve total control of mind and body awareness, to ensure maximum efficiency in combat. The intelligent warrior is diligent in practice and is meticulous in preparation for battle. Modern sport can learn from this approach and many top professionals in all sports are adopting these ways to improve their performance. Top athletes need to retain their energy levels and mental focus right up until the end of the match or race. The term "finding an extra gear" under pressure is often quoted as the reason for a win. These new skills acquired by professionals and deployed, do not happen by accident - only by hard work, preparing the mind and the body for battle. What sort of training is required? Training with specific exercises and learning to breathe correctly will increase understanding of yourself. You will then develop skills to recognise tension, nerves and learn to neutralise them thereby enabling you to improve your performance. "First you must know yourself" Sun Tzu is considered one of the greatest military strategists. He recognised the importance of being aware of your own forces abilities and limitations but also understanding the environment and conditions in which you do battle.... Prepare well is the lesson to be learned here. Know yourself, be aware of your body and be able to remove tension. Tension wastes energy and focus. If you do not know your own body, how will you react when under pressure? How will you turn a disadvantage to an advantage? The student must first be able to clear their mind and be able to visualise what is required. Then in time they should trust in their own ability and exude confidence and belief in the split second of execution. Learning body awareness, so when you are under pressure to perform you are aware of tension. Tension is the reason that sports professionals and amateurs fail, often called "choking" by commentators. Have you stalled your performance? Can you deliver in practice but not consistently under match pressure? If you wish to improve your sport performance, I can help. I can provide tailored Tai chi and Qigong training programmes that will maximise sporting performance. The concept here is not to replace your traditional training regime but to enhance it. I have a unique perspective to offer the student who wishes to learn how to apply new skills to aid their sporting performance. Sun Tzu was a Chinese military general, strategist and philosopher who lived in the Spring and Autumn Period of ancient China. born 544BC and his military strategies are still taught in Military academies today.